I knew this one would be a difficult challenge. It’s taken me a few attempts of tripping through Harrods perfumery dept and jostling through crowds to try this new collection of exclusive scents courtesy of Dolce & Gabbana. Furtively clutching my notepad and pen and scrawling barely legible notes and then, just post Christmas, I was sent one furtive bottle that had magically escaped its secretive confinement to try. Beautifully packaged and presented in padded black satin, each of the six new fragrances of The Velvet Collection takes the persuasive softness and seductive skills of one of Dolce & Gabbana’s favourite textures as a basis and, lain on top of this, an olfactory influence combining with a sentiment such as raw, seductive Velvet Wood, Decadent Velvet Desire, sweet, woody Velvet Vetiver, luxurious Velvet Patchouli, richly hypnotic Velvet Love and the sensual Velvet Sublime. The velveteen textured perfume caps signify the texture and the colour of the mood of the scent contained in its glass prison, awaiting release. First of all, the scents are cleaner than I expected. Yes, they have some depth of character but they are lighter and brighter than their moodier tome depicts. Vintage Italian ingredients have been used in each of the perfumes but these may be a triumph of statement, packaging and marketing over the scents themselves. Which isn’t to say in any way that they don’t deliver. Not at all. They are what we would expect from such a stylish fashion house and make-up brand. 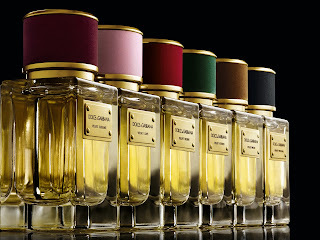 Its just that the existing Dolce & Gabbana fragrances are so singularly identifiable and distinctive that this reviewer was expecting a whole lot more punch from these babies when they are actually come fleet of foot, in velvet slippers. There’s no mistaking the sunshine brightness of Velvet Sublime and its mix of sharp bright mandarin, neroli and orangeflower. It’s inspiration was the orange groves of Sicily and, as Taormina is one of my favourite holiday spots, I can say that it manages to exude the over arching freshness with a subtle hit of sensuous heat. Velvet Patchouli is another beast. It’s big and round and hits you like a hammer swathed in inky black velvet with it’s monotone creamy swathes of refined incense smelling plumes. This character appealed due to its strength. It sits as easy on a man as it does on a women and comforts with its textural depth. This is the star of the collection, like a mean, moody leading man with a heart of gold. Velvet Love explodes with floral bursts of carnation, ylang ylang and with a liberal dose of pepper for added spice to signify the allure of Lake Como. It’s one of the bigger scents of the collection and thrills in its femininity. She’s playful and brimming over with energy in her refinement. Velvet Vetiver, on the other hand, is a zesty, fig fuelled vetiver that brims over with Italy’s Mediterranean mystique. There are glimpses of the ocean from your winding drive around the mountains, with sheer drops as breathtaking as the first hit of this fragrance. My main bone of contention is just how quickly the scents seem to fade. Yes, there is a gentle strain that exists after an hour or so, but they would each require a hearty splash should you wish to make a significant impact. As they come in heavy glass flacons made for overt display, I’m not sure whether carting each of these around in a handbag is advisable. It’s decant time, ladies, if you wish to keep topping these up throughout your day – which kind of defeats the point of the beautiful original presentation. A quandary if ever there was one. 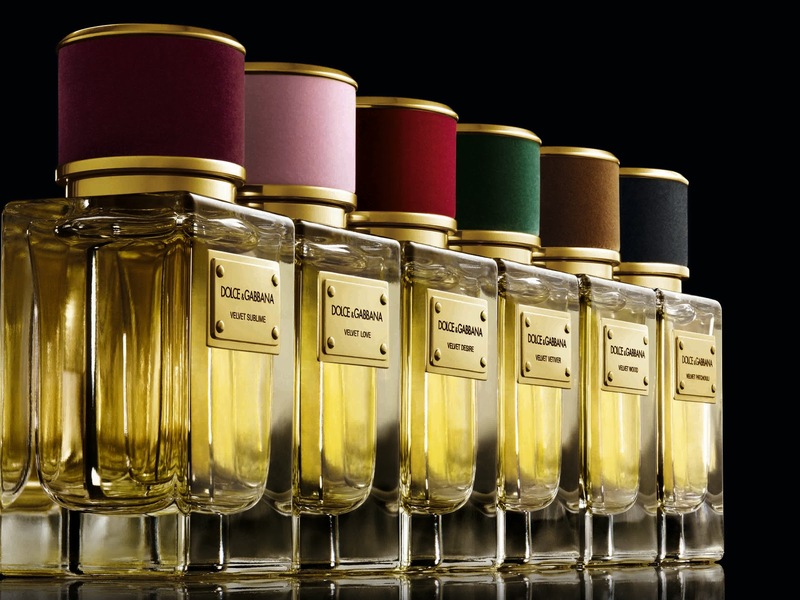 Dolce & Gabbana’s Velvet Collection is available exclusively from Harrods priced at £120 for each 50ml bottle. Next post: Let the Bath Oils take the Strain.